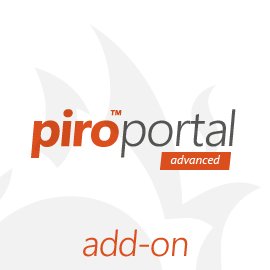 Please note that a previously purchased license is a prerequisite for buying certain add-ons from PIRO shop. you can add it all as part of your license purchase. No more calls from your clients asking about the progress of their orders! Give your clients 24/7 access, providing them with real-time progress reports and allowing them to see, download and pay their invoices, view order history, and much more. The looks of the Customer Portal can be customized (skinned) to your preference or integrated into your existing website.